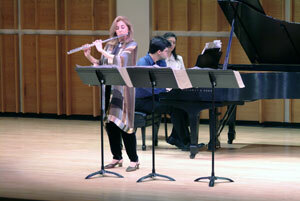 In 2004 MFJ presented two diverse programs. 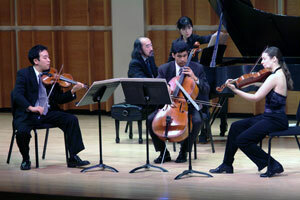 The February concerts at Merkin Concert Hall opened with a focus on one of Japan’s best-known composer-performers, Ichiro Nodaira. 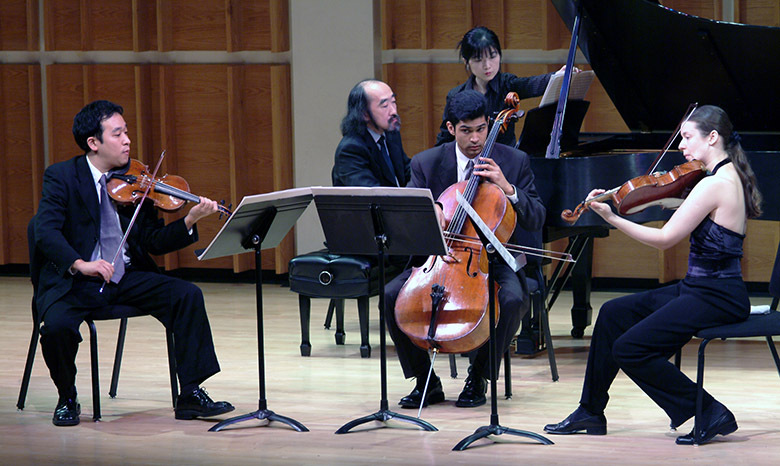 Since Nodaira’s appearances in the US are something of a rarity, this concert was previewed in The New York Times Sunday Arts and Leisure section. 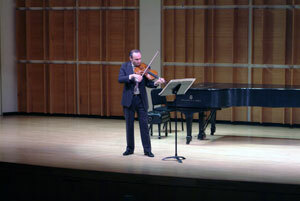 Music From Japan commissioned a new work from Nodaira for the occasion–a piano quartet in which the composer performed the piano part. 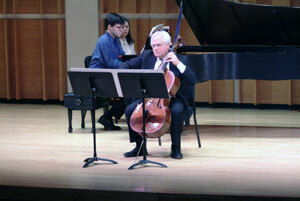 In addition to that world premiere, his concert featured three other US premieres performed by such illustrious musicians as Paul Neubauer, Fred Sherry, and Carol Wincenc, and was very well attended by fans as well as by notable American composers who were interested in hearing his music. 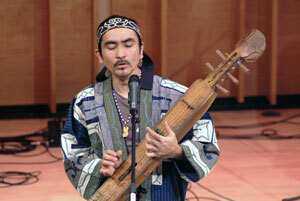 The second MFJ program featured the native Ainu performer OKI who sang and performed on a traditional Ainu instrument, the tonkori. 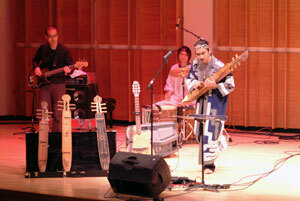 He was accompanied by the vocal ensemble Ma Rewrew, who danced and sang traditional Ainu melodies as well as new works. 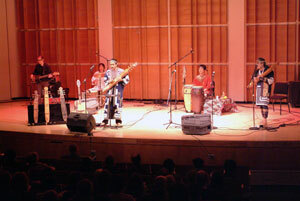 The concert was an ingenious blend of electronic and acoustic music: OKI had modified the tonkori for amplification in certain songs. Also on offer were a symposium and special film screening of documentaries on Ainu life by award-winning director Tadayoshi Himeda. 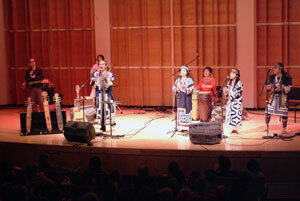 The program toured the US, increasing American’s understanding of this indigenous population of Japan.